Could Krugman’s Nemesis Friedman Be Bitcoin’s Mysterious Creator? In contrast to the article Paul Krugman wrote, an opinion piece titled Bitcoin is Evil, a video has surfaced on YouTube from Krugman\xe2\x80\x99s one time nemesis: the legendary economist \xc2\xa0Milton Friedman. The 94-year-old Friedman supposedly died in 2006. I explain why I say \xe2\x80\x9csupposedly\xe2\x80\x9d later. In the video which was filmed for a TV interview in 1999, the then 87-year-old Friedman clearly predicts the rise of bitcoin. You can view the short relevant clip of that video here. For those who don\xe2\x80\x99t know much about Milton: a few notables: He helped put an end to the mandatory military draft in the 70s. He was Ronald Reagan\xe2\x80\x99s economic advisor and long time proponent of free market principles. 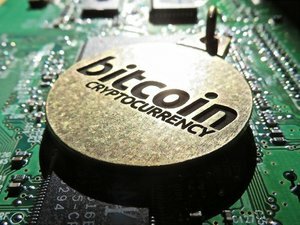 Importantly for bitcoin lovers, he introduced the idea of k-percent where he stated that an economy only needed a computer to adjust the supply of new money entering into the economy, not policymakers. 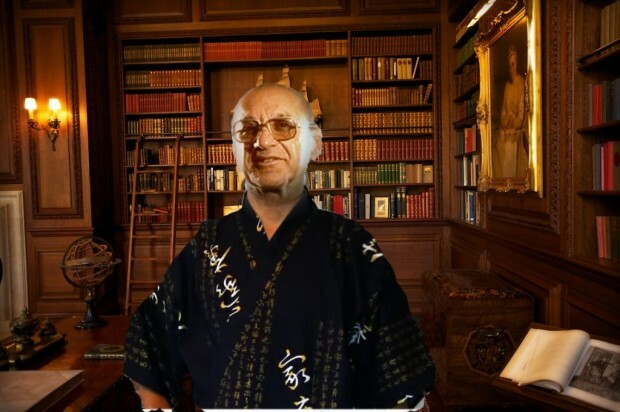 \xc2\xa0In the video, Milton explains with eerie accuracy that the \xe2\x80\x9cinternet will prove to be one of the many forces for reducing the role of government.\xe2\x80\x9d He also accurately predicts that the world would soon develop a new e-cash system that you will be able to transfer funds from point A to Point B: without A or B knowing each other over the internet. He also predicted the negative effects of people engaged in illegal activities will likely use its anonymity for illegal transactions as well. Krugman and Friedman viewed the idea of money creation and the role of government to tax every transaction clearly differently. Krugman has spent a lot of time trying to discredit Friedman in a rivalry of sorts which was chronicled nicely by Bloomberg\xe2\x80\x99s Caroline Baum. Perhaps Friedman has yet to receive his just rewards and get the final word that may come to haunt Paul Krugman with his \xe2\x80\x9cbitcoin is evil\xe2\x80\x9d diatribe. That brings me to my last point: did Friedman really die? You could just as truthfully say \xe2\x80\x9cHe\xe2\x80\x99s no longer making public appearances\xe2\x80\x9d. I don\xe2\x80\x99t want to start a new conspiracy theory\xe2\x80\xa6but I ask you. Could Milton Freidman be Satoshi Nakamoto? Satoshi\xe2\x80\x99s white paper describing bitcoin didn\xe2\x80\x99t arrive until 2008. Friedman supposedly died in 2006. You can also admit that the two were never seen together at the same place at the same time. One could imagine the 98-year-old Friedman sitting in his pajamas surfing various underground cryptography websites. He would have had two years unaccounted for which would have given him plenty of time to solve the perplexing challenges of double spending and complex cryptography. It was only a matter of time before he gave the world what he envisioned in the previous decades! Satoshi ended his involvement officially for bitcoin in 2010 saying he was \xe2\x80\x98Moving on to other things\xe2\x80\x9d. \xc2\xa0Perhaps those \xe2\x80\x9cother things\xe2\x80\x9d included making his way to the \xe2\x80\x9cGreat Beyond\xe2\x80\x9d? Milton might have been a bit tired after giving the world\xe2\x80\xa6bitcoin. My official recommendation is to recognize Milton Friedman\xe2\x80\x99s effort and genesis of the ideas that propelled bitcoin into existence. Perhaps we should honor him by naming the unit of currency at the seventh decimal point as a \xe2\x80\x9cmilti\xe2\x80\x9d? Imagine the look on Paul Krugman\xe2\x80\x99s face when he must resort to asking for a few \xe2\x80\x9cmiltis\xe2\x80\x9d for tips from those still reading his maligned articles of the future. Surely Milton/Satoshi would not consider paying more than that, if only for the entertainment factor.